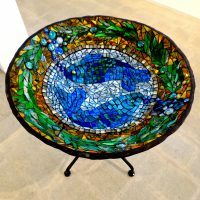 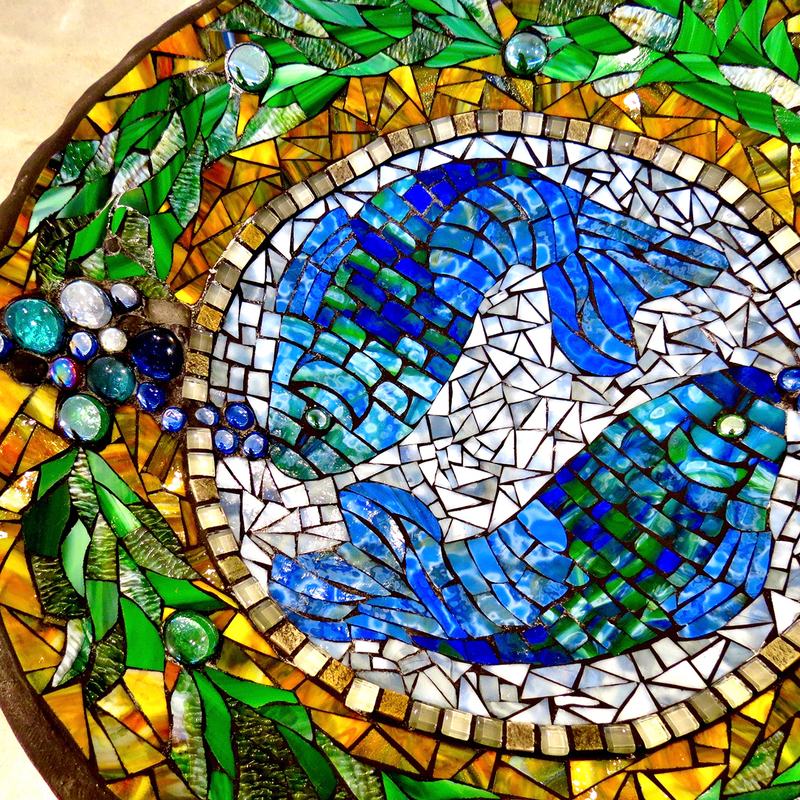 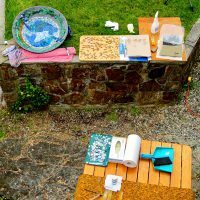 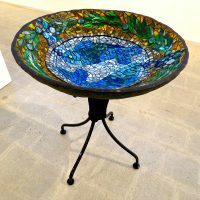 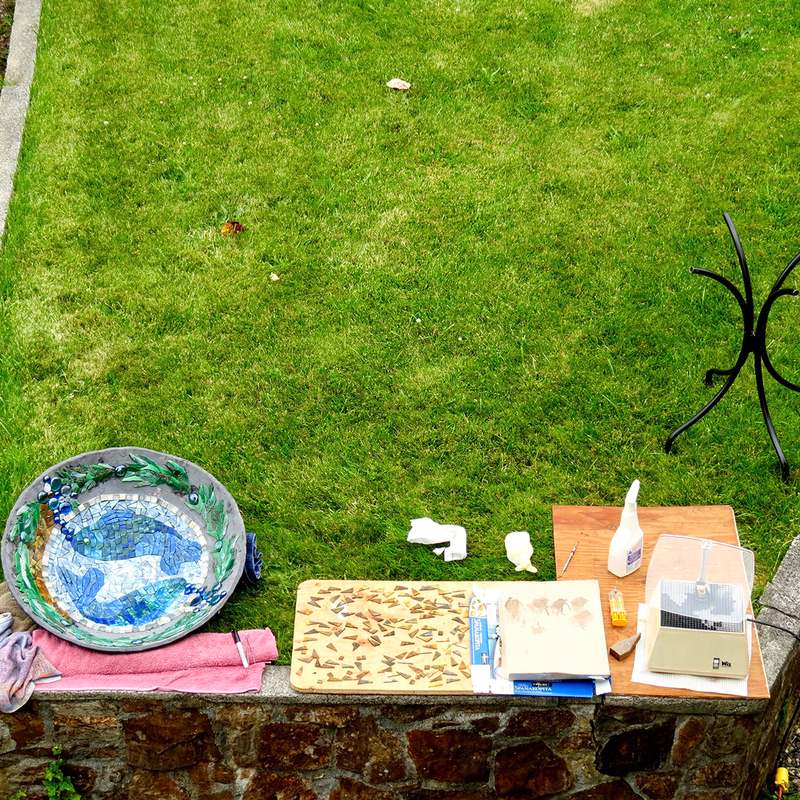 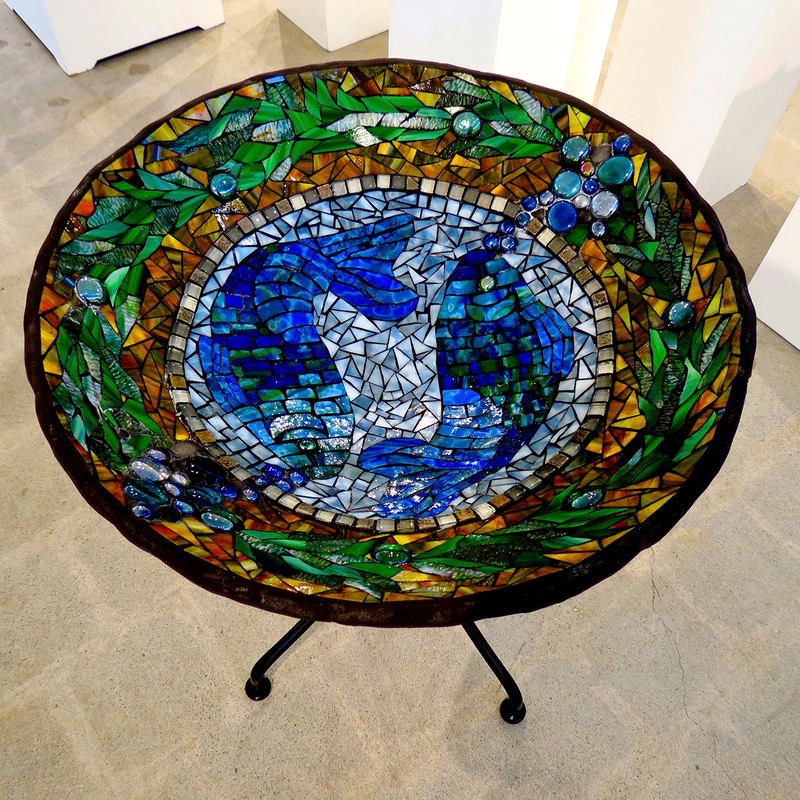 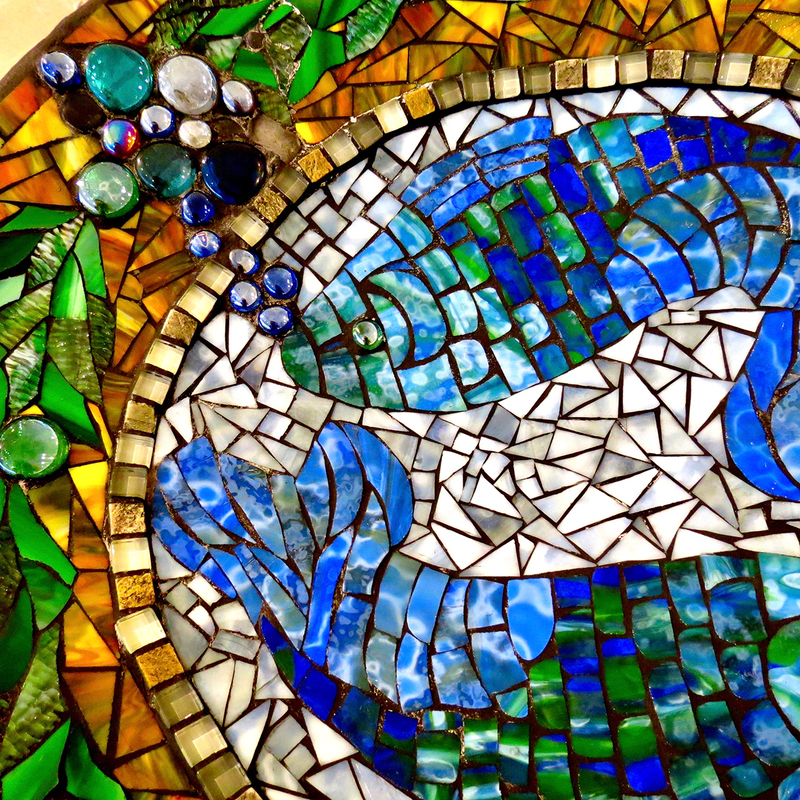 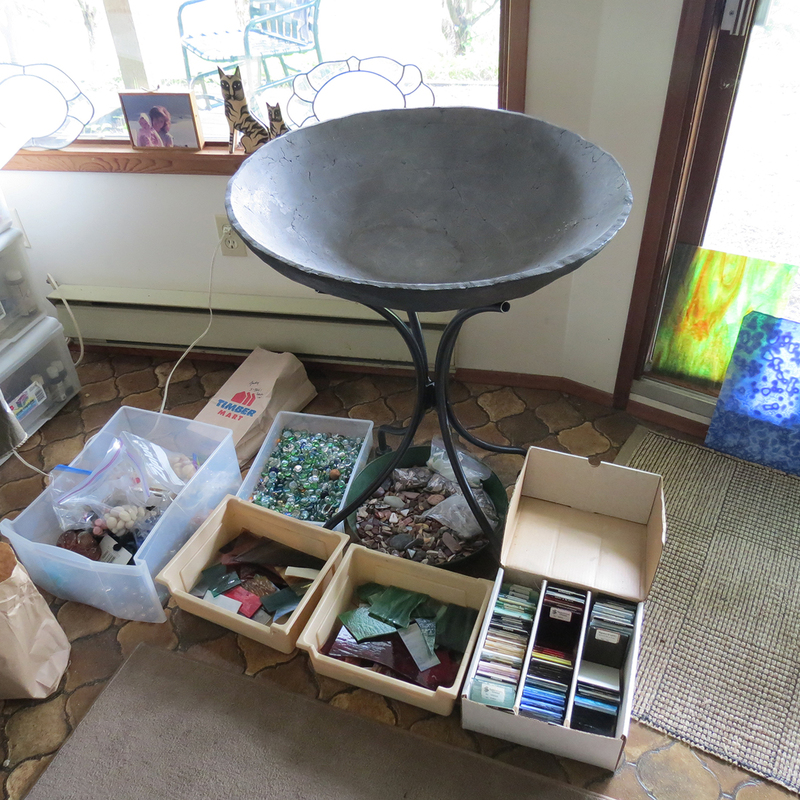 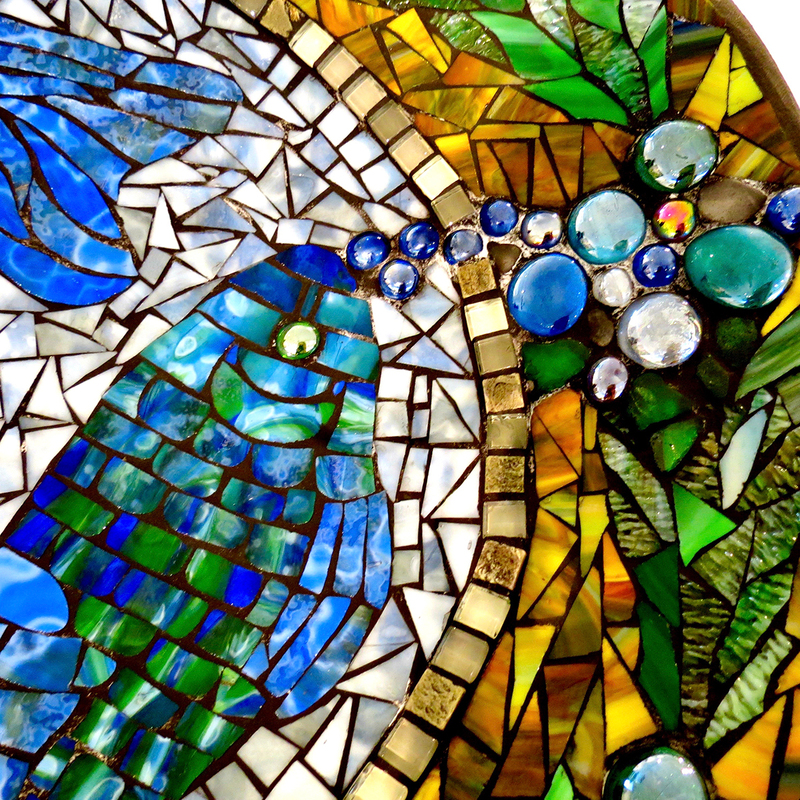 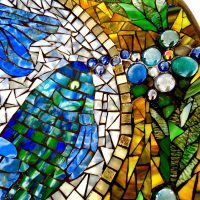 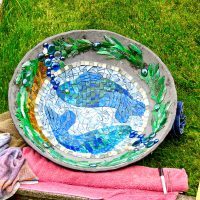 This stained glass mosaic bird bath was made for an art show in Gibsons a few years ago. 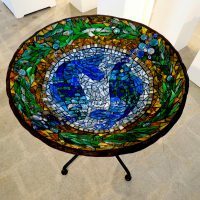 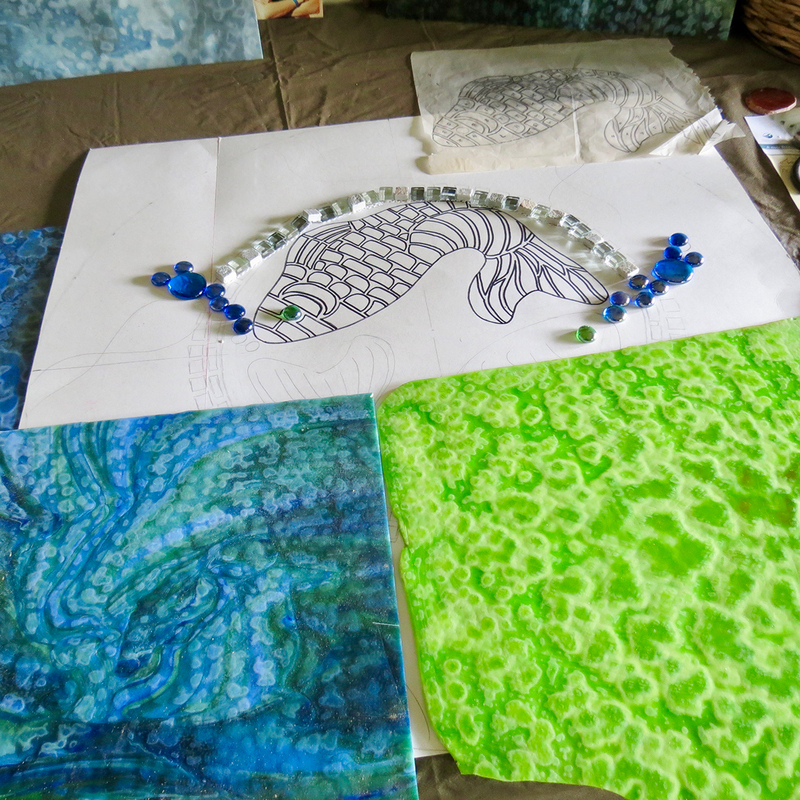 I was asked to be part of a glass show which featured several artisans working in all mediums of glass. 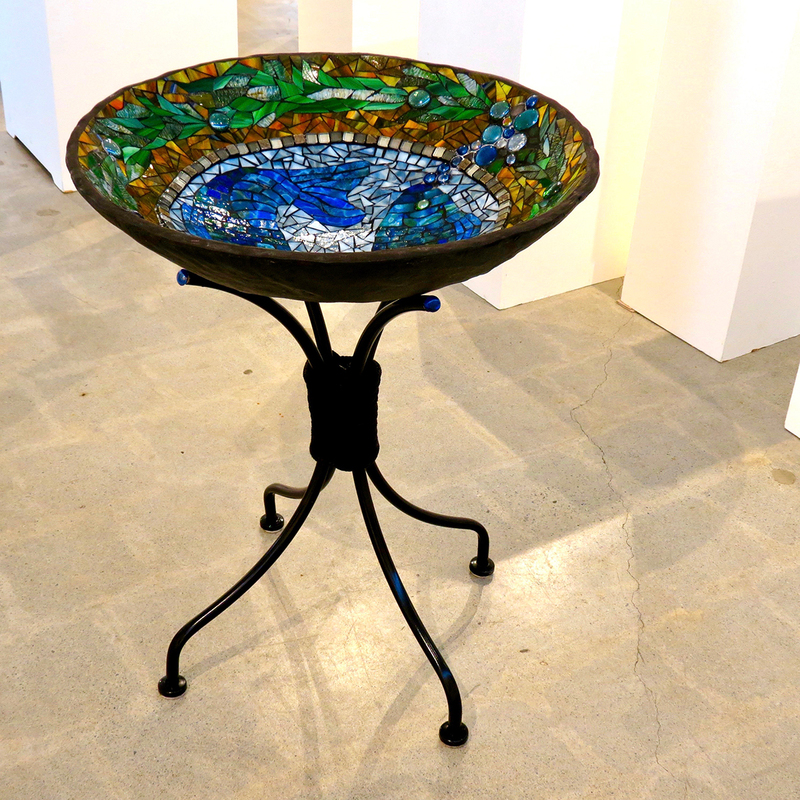 The event took place at GPAG Gibsons Public Art Gallery. The bird bath is made on a concrete base which was made by an artist friend of mine Rick Harmer, of Bluff Hollow Concrete designs. 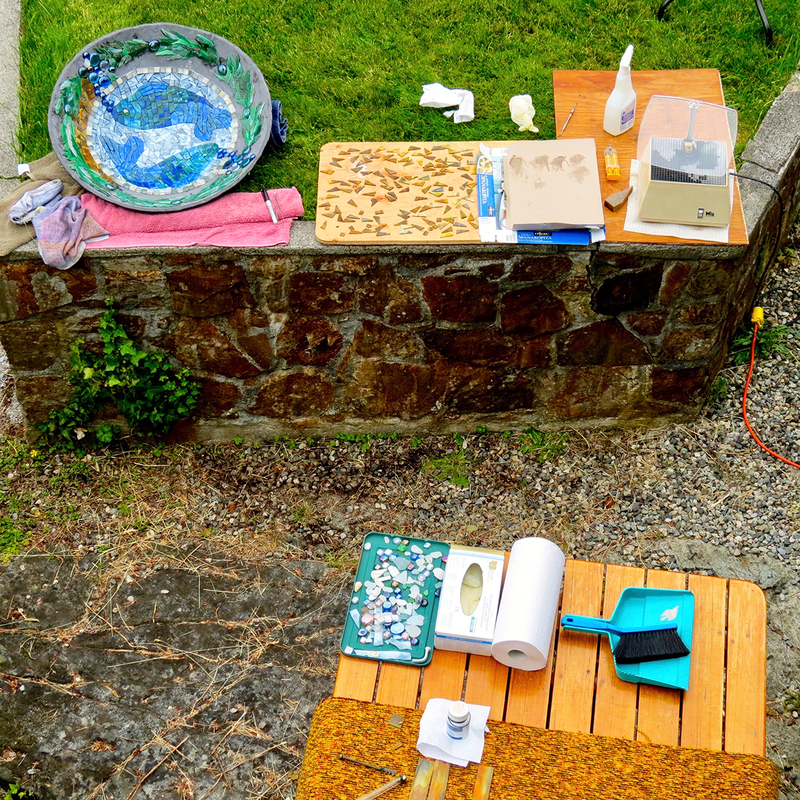 Rick made the concrete base over top of a exercise ball, to get the shape. 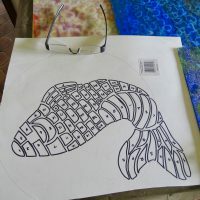 Quite clever. 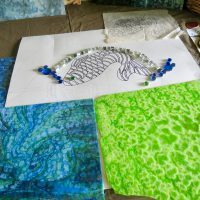 He has a studio in Garden bay. 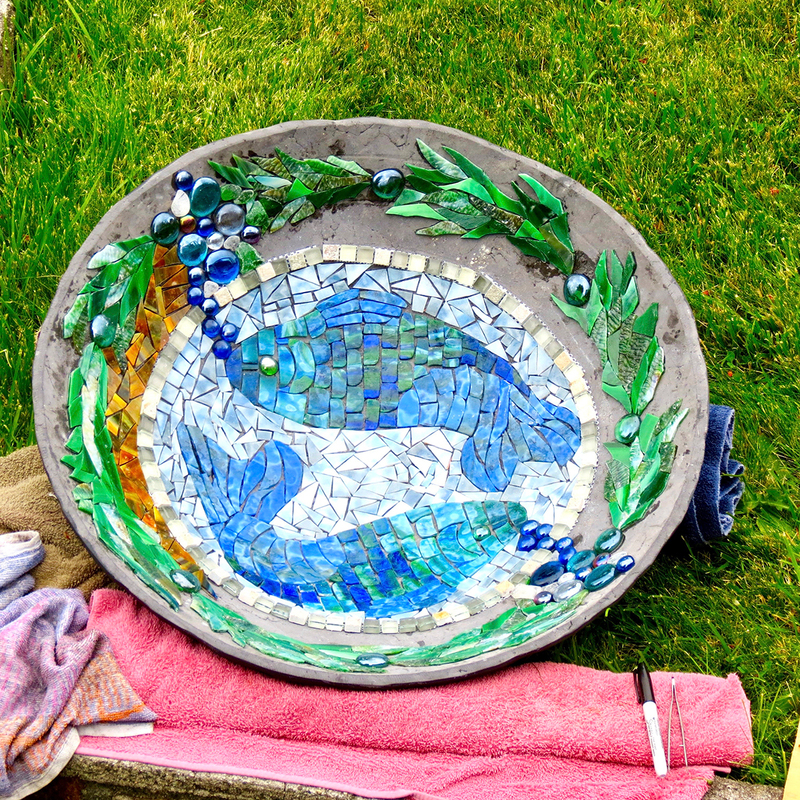 I decided to keep the bird bath and put in my garden. 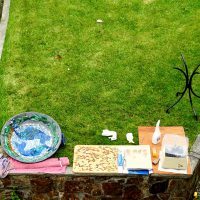 The squirrels love to swim in it. 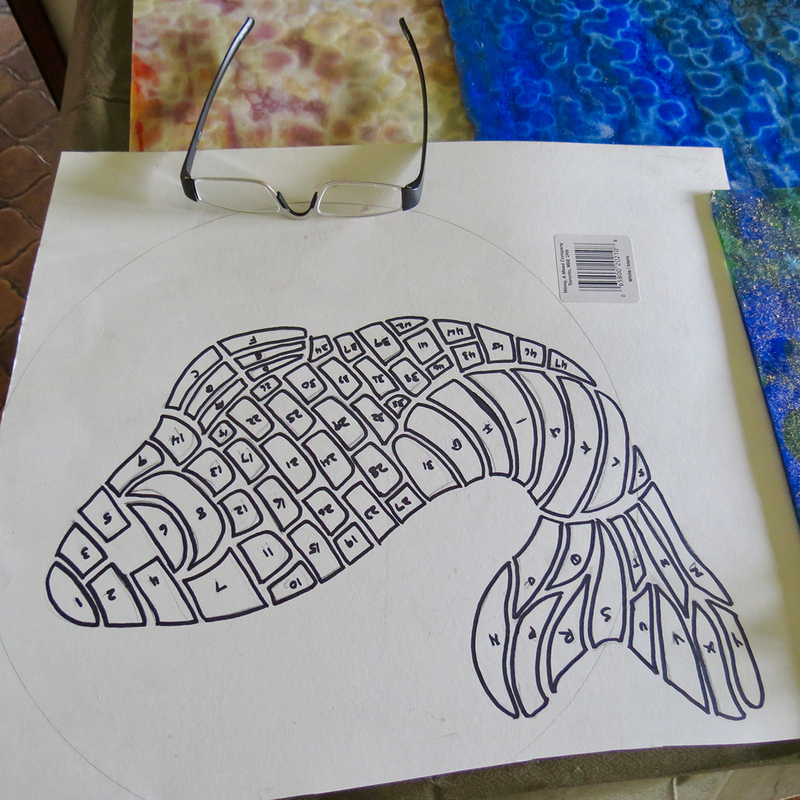 They can do a full breast stroke before they reach the other side.